Help an Okie shake up Texas! Well, I just swallowed my pride and made a mass appeal for donations via email to the greater activist community in OKC. I’ve needed to do it just to get a new computer, because the one I use to do a dozen or so web sites for grassroots organizations, now even on the national level, is so old and periously close to break down. But the thing is, I really want to go be with Cindy Sheehan in Crawford TX and I have an opportunity at this very moment in time I don’t ordinarily have. So, that’s what I based the appeal on. Who knows what will happen. But hey, I’m even willing to camp out, that’s how much I want to do this. I’m not a camping kind of girl, so recognize that even in my impoverished condition, I am willing to make sacrifices! So below is the letter I sent. I hope I haven’t embarrassed myself too much. Anyway, if you can help, hit the donations link. 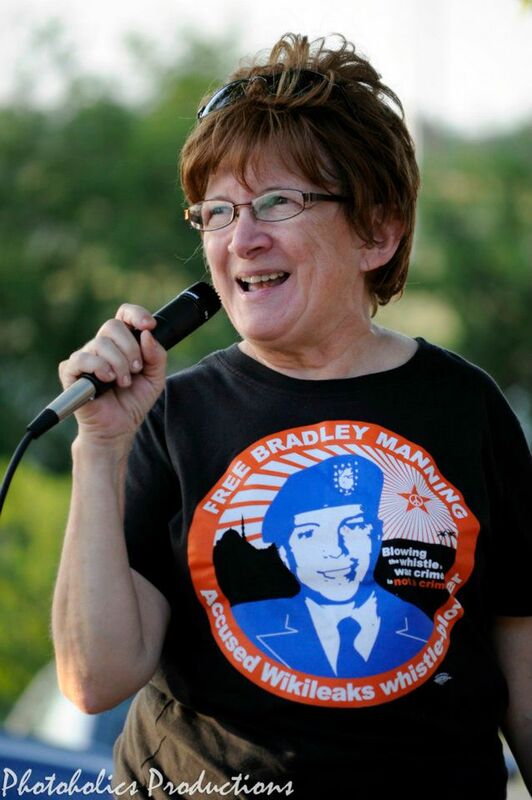 I am goin’ to Crawford to be with Cindy Sheehan, the mother of a soldier killed in Iraq who is outside Bush’s ranch demanding an “audience” with him. (It’s been all over the news, but for more background, see www.codepink4peace.org and/or www.meetwithcindy.org) She’s reportedly has been threatened with arrest on Thursday, so maybe I will be too — Guilt by Association. I am “without means”, and thanks to out-of-state family visiting, without responsibilities for much of August. Fortunately this gives me the freedom to make this trip, but unfortunately not much in the way of resources to undertake it, so if you would like to help me out, your donations will help with gas, food (unless I decide to join the hunger strike) and maybe even bail! That link is so long, it may break; if it does, go to http://www.gypsyresort.com/re and look for the “donations” link under “Welcome” near the top. While in Crawford, I will report for www.okimc.org, and other alternative news sources, and will take pics and share what I get newswise when I have internet access. And if you can’t send $, please send moral support via your thoughts and/or email! I’ll probably need it. Thanks!